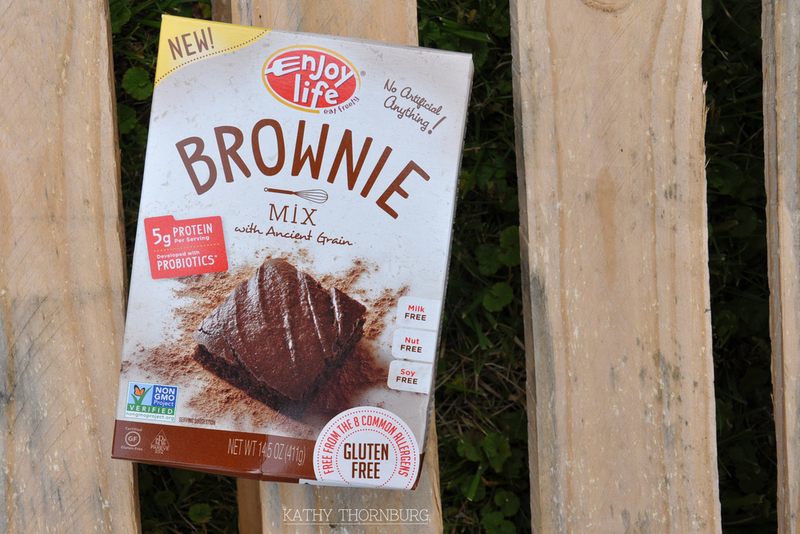 Yesterday, we used our Enjoy Life Foods Brownie Mix for the first time. I am so impressed with the taste and how easy it was to use! We decided to take our brownies to the next level by turning them into brownie bowls perfect for a scoop of your favorite ice cream. 1. Lower the baking time from what the box says or you will burn your brownies to a crisp when putting the batter in a muffin pan. I left mine in the oven at 350 degrees for 20 minutes. I tested it at 10 minutes and at 20 minutes with a cake tester to be sure it came out clean. 2. I used a mini pie pan instead of a muffin pan to make a wider and shorter bowl. I tried pushing another mini pie pan sprayed with cooking spray on top of my brownies as soon as they came out of the oven and it didn't create the bowl look that I really wanted. So...I grabbed a drinking glass that was smaller than the diameter of the pie cavity and carefully squished it down the middle, which created the perfect sides I was hoping for in the beginning. 3. Let your brownies cool completely before filling with ice cream. Otherwise, your ice cream will melt too fast and your brownie bowl may not be able to hold its shape very well. That's it! Enjoy your brownie bowl treats and live your life #tothefullest. Check out Enjoy Life Foods new baking mixes in their online store!